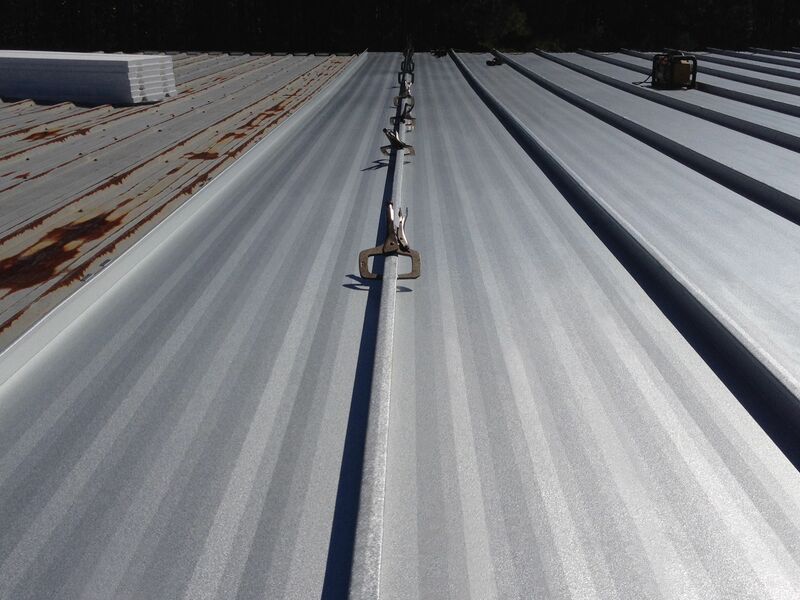 PEACHTREE CITY Ga., Jan. 15, 2014 – It’s one thing to talk about the benefits of your metal roofing products and how those products can serve as a host for photovoltaic panels. It’s quite another thing to re-roof your manufacturing facility with your panels and add photovoltaic panels. 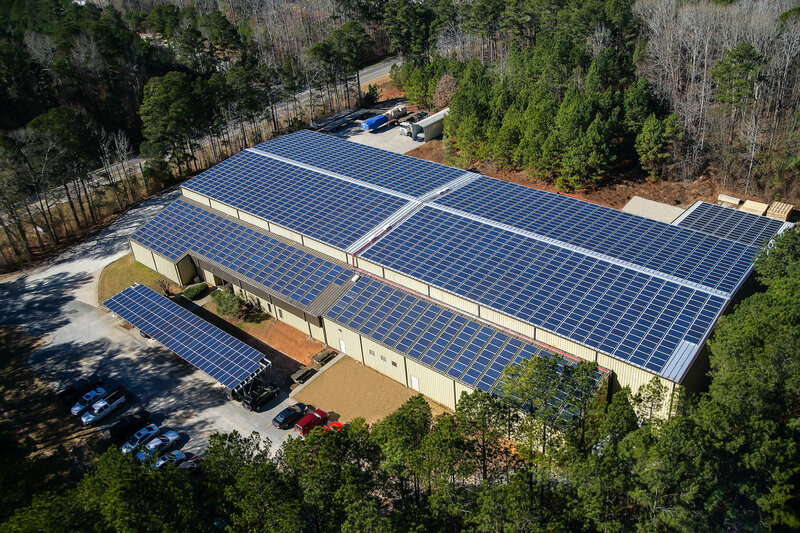 McElroy Metal recently completed the retrofit installation and 500 kW solar project on its manufacturing facility in Peachtree City, Ga. 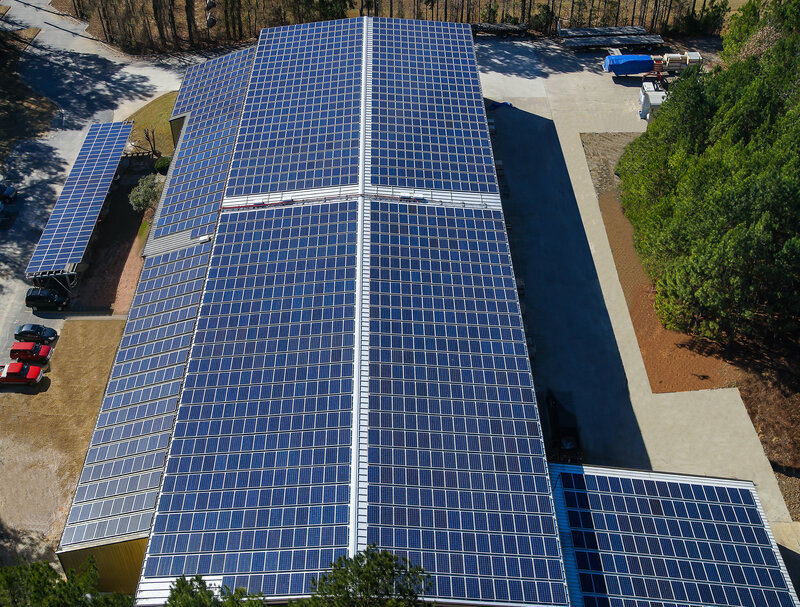 The project, believed to be the largest solar installation for a metal roofing manufacturer, is part of the Medium Scale Georgia Power Advanced Solar Initiative Program. Inovateus Solar LLC, a worldwide installer of commercial and industrial solar power systems, worked with McElroy on the project. A total of 1,960 solar panels were installed on the plant roof and on a canopy in the parking lot. The half megawatt solar system became operational in late December. The energy generated will not directly power the facility, but will be “sold” back to Georgia Power. The power generated will far surpass Peachtree’s energy consumption. Through its partnership with Inovateus Solar, McElroy Metal provides complete solar solutions for commercial and industrial applications. The company offers many roofing panels that make an excellent substrate, or host material, for solar panels. McElroy’s 238T symmetrical standing seam systems do not have male and female seams, but are comprised of panels with matching left and right seams. The panels are joined with a mechanically seamed cap. The panels are non-directional and can be installed left to right, right to left or even center to right or left. In addition to installation benefits, symmetrical panels offer easy individual panel removal and replacement for easy plenum access. Panels can even be re-installed, requiring only the purchase and installation of a new cap. For the Peachtree City project, the panels were installed over the existing roof with the aid of McElroy’s patent pending 238T Retrofit Clip, a 3-1/2-inch standoff clip that elevates the new roofing system to the top of the existing panels. The 238T Retrofit Clip sits between the ribs of the existing roof, eliminating the need for sub-framing, greatly reducing material and labor expense. In fact, the use of the 238T Retrofit Clip instead of a sub-framing system, reduced the overall cost of the re-roof portion by approximately 25 percent. The tall clip stands above the existing panel’s major ribs, allowing for the addition of insulation. For this project, foam insulation provided increased R-value as well as support for the new roof panels. Dodge said the Paramount Metal Systems crew installed the 30,000 square feet of retrofit metal roofing panels in about 7 to 8 days and needed another 2-1/2 weeks to install the solar panels. Three different clamps from S-5! Solutions were used to attach the solar panels, one for the 238T panel, one for an existing through-fastened panel in the back corner of the facility and a third for the existing standing seam panel on the office lean-to. Since 1963, McElroy Metal has served the construction industry with quality products and excellent customer service. The family-owned components manufacturer, headquartered in Bossier City, La., has 12 manufacturing facilities and 20 service centers across the United States. Quality, service and performance have been the cornerstone of McElroy Metal’s business philosophy and have contributed to the success of the company through the years. As a preferred service provider, these values will continue to be at the forefront of McElroy Metal’s model along with a strong focus on the customer. More information can be found at www.mcelroymetal.com.